We have 7 doctors at St Alban's Medical Centre. The partnership is contracted to Dorset Clinical Commissioning Group to provide personal medical services to patients registered with us and patients temporarily residing within our practice boundary. Our patients number in excess of 10,000. The doctors and our staff aim to provide medical care to the highest possible standard and to promote and improve the health of our practice population by providing the most appropriate range of services for their needs. The partnership provides services from both the surgery at St Alban's Crescent and from our satellite clinic at East Way and these are listed in detail later on in this website. Between 1 and 2pm the surgery is open for emergency calls only. We are closed on Saturdays, Sundays and Public Holidays. There is good access for the disabled to all of our consultation rooms. Both surgeries have a ramp and wide doors to allow for wheelchair access. At both surgeries we have electronically operated doors for ease of access. We are working to improve access to appointments for our patients, in particular at evenings and weekends. If you would like to be offered one of these appointments, please ask at Reception. These appointments may be at a different site, e.g. the Urgent Treatment Centre at Bournemouth Hospital. 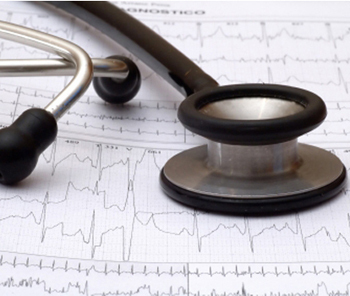 If you become ill whilst the surgery is closed, there is medical help on hand. If you feel you are suffering from life-threatening symptoms, please dial 999 and ask for an ambulance. 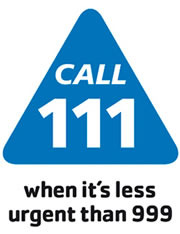 It is useful to know that you can dial 112 for emergency services too – this can be helpful if you are in the countryside on your mobile phone, as the service can use GPS tracking to identify where you are. If you are unwell and you do not feel you can wait until the surgery reopens, please call 111. Calls to these services are free from landlines and mobiles, although pay as you go mobiles must be in credit for 111 calls to go through. Receive a visit from a health professional, such as a doctor, paramedic or nurse. If you have difficulty communicating or hearing, you can contact NHS 111 via a textphone by dialling 18001 111 - the calls are connected to TextDirect and messages will display on your textphone or computer to let you know what is happening. A typetalk relay assistant will join the call, and relay your message to the NHS 111 advisor and let you know their response and advice. There is also a video relay service for people who communicate using British Sign Language (BSL) – look up NHS 111 BSL interpreter service online. The 111 service cannot deal with practice-based enquiries such as repeat prescription requests, test results or booking appointments. If you have run out of medication whilst the practice is closed, you can contact your usual pharmacist. In many cases, they can dispense some medication to tide you over until the surgery reopens.